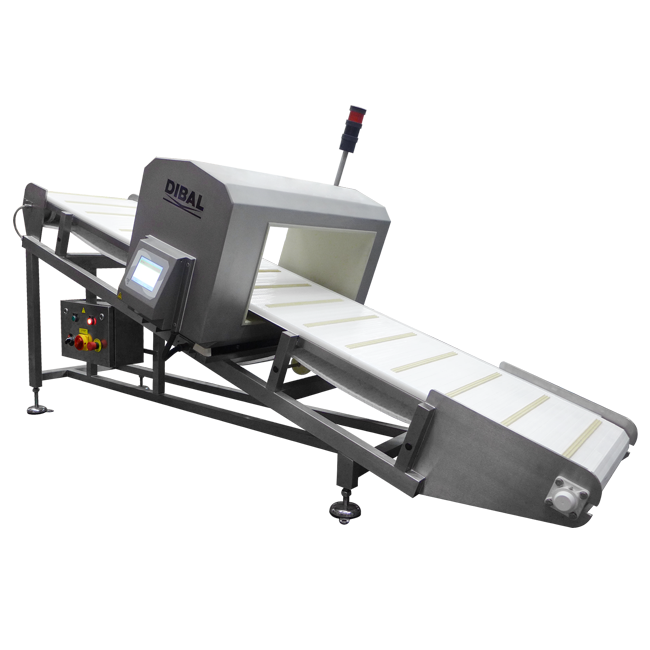 Dibal custom solution: metal detector with ramp protected by a locked casing. Do you want to know more about Custom-made containers for contaminated products? 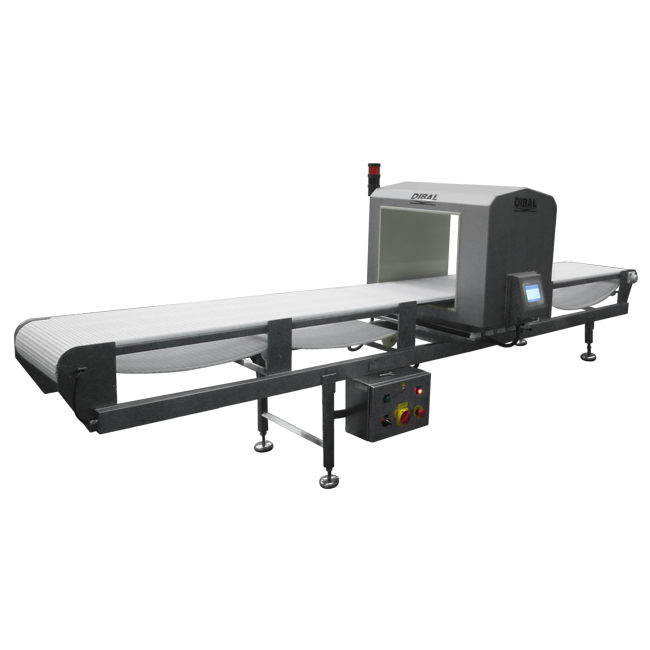 Dibal MD-5700 metal detector with a special dimension rejection ramp for contaminated products, and with a casing which can be locked. 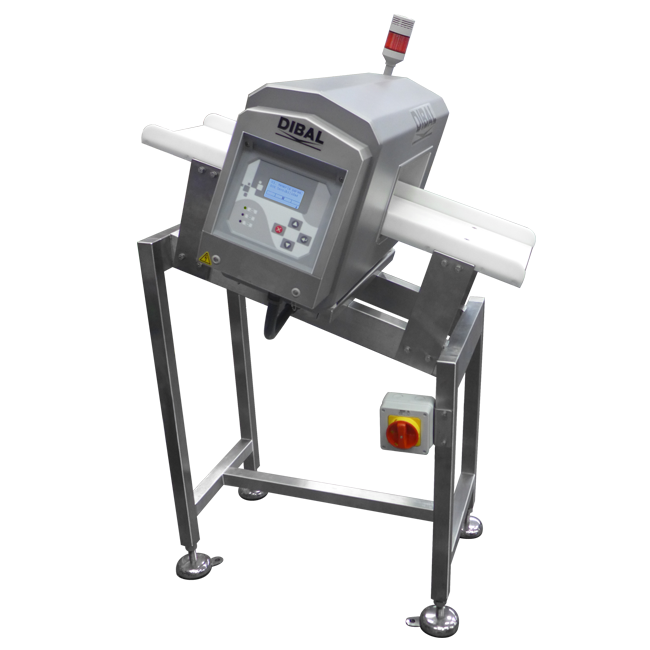 Dibal custom solution: metal detector with non-standard operation direction. 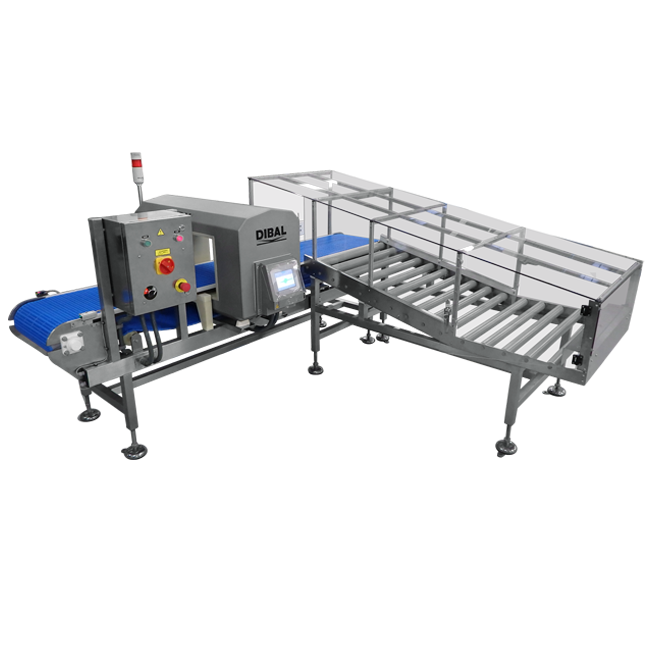 Dibal custom solution: tilting metal detector for connecting 2 production lines. 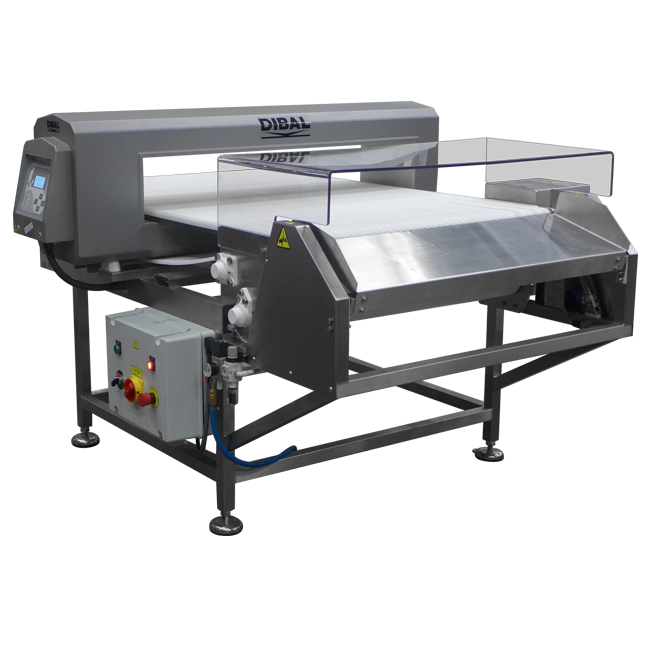 Dibal custom solution: metal detector with special width conveyor for long products.